This challenge is sponsored by Catherine Pooler. 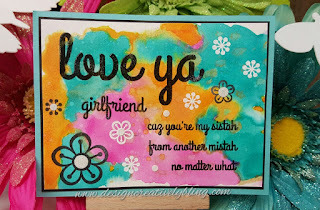 The color scheme for this challenge are the colors on Catherine Poolers SOA box ( pink, orange, turquoise, and white). 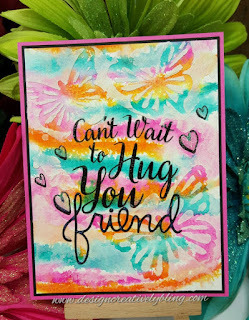 for my next card I die cut MFT's Fluttering Butterflies out of the water colored piece. 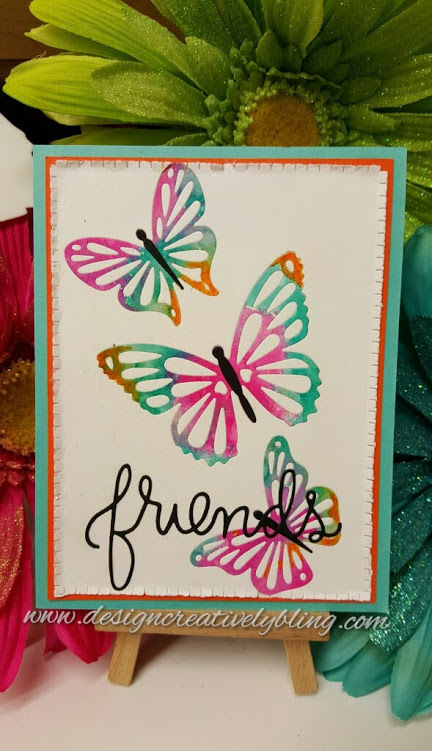 Then I arranged three more on a piece of Neenah Solar White 80 lb card stock and was careful not to lose my pieces( I need then to put in the open spaces of the butterflies. I attached a piece of Stick It to the back and began inlaying the butterflies. 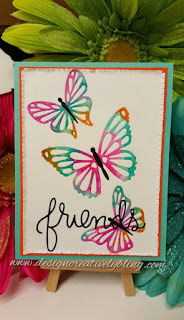 The butterfly bodies were Die cut in black and so was SSS Friends die. I used the blanket stitch from MFT's Homespun Stitch Lines and did the edges of the card front then trimmed the edge and rufflrd the edge. 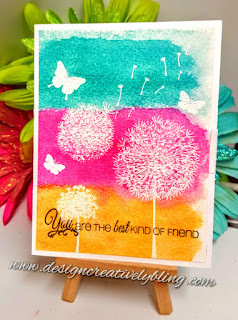 I monted this finished piece on MFT Orange Zest and then SU Bermuda Bay. I had to use this stamp set. I just received it and love it. 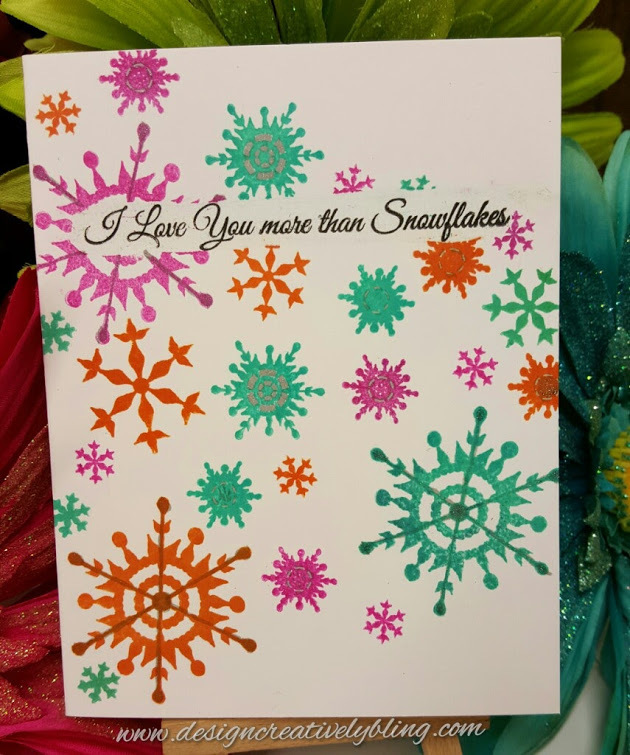 Using the CAS-ual fridays Must Have Snowflakes I stamped the sentiment from the set in SSS Intense Black ink on a Neenah Solar White 110 lb card stock card base. Then I masked it off with a Molotow masking pen. I used various snowflakes from the same set and stamped them in SSS Doll Pink, Maliblue, and Orange Peel. 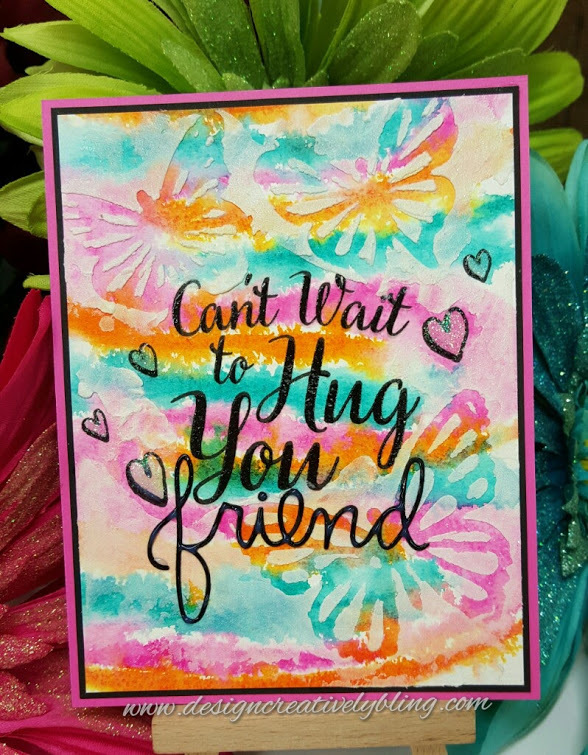 I added some silver Wink Of Stella to finish my card. I'll add cars to this post as I make them. My goal is to make one using each company I have in my stash.